Bright rosemary, tangy balsamic and sweet onions - this simple dish has it all. You can have it on the table quickly, leaving you more time to relax with your family and friends. 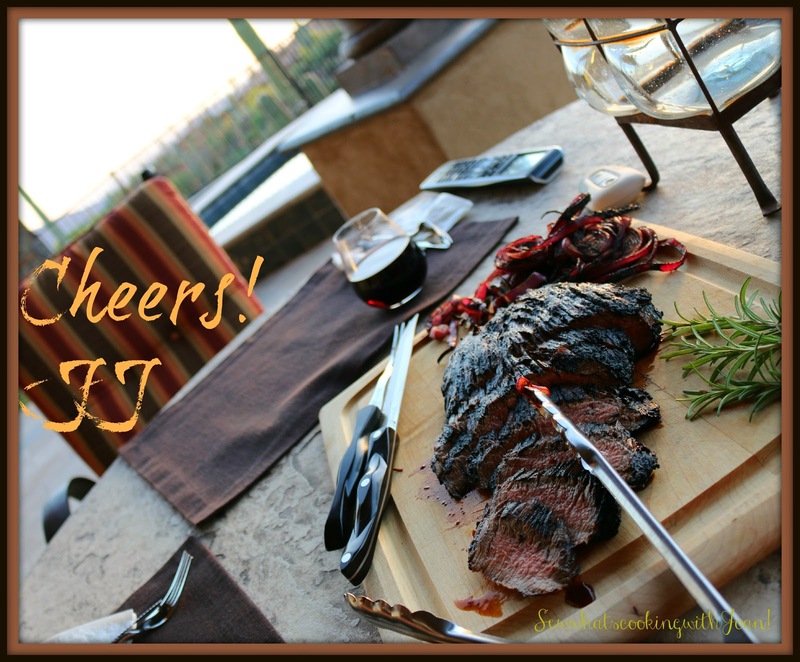 I was going to wait to post this recipe until Father's Day, however, some recipes are simply too good and too deserving to hold on to! My sister-in-law, Donna created a delicious marinade that we have used for years. 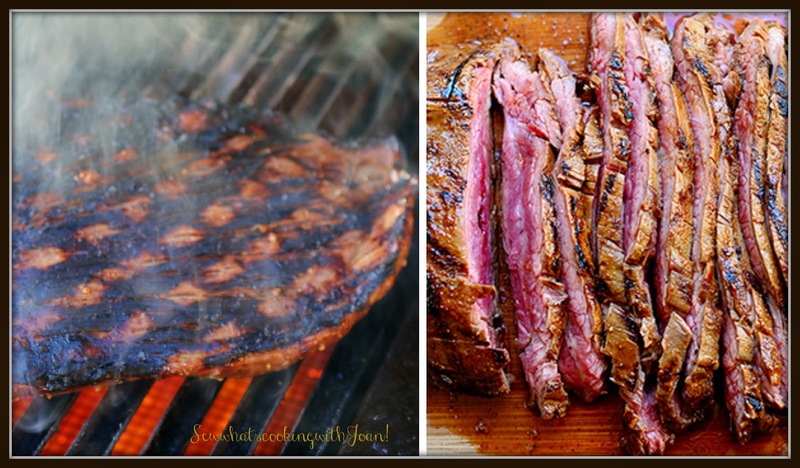 It is very simple and is cooked outside on the barbecue to juicy, chargrilled perfection! We make it often, and have loved it for 20+ years, however, I wanted to do something new and boy oh boy...it is equally delicious! I think one secret to this recipe is the balsamic which, when it hits the hot grill, adds a fantastic caramelized depth to the already flavor-packed marinade. Combined with rosemary, pepper and garlic, you wind up with an umami-tastic taste which is sweet, savory, pungent and utterly addictive. I mean, just try to stop eating this steak once you’ve started. 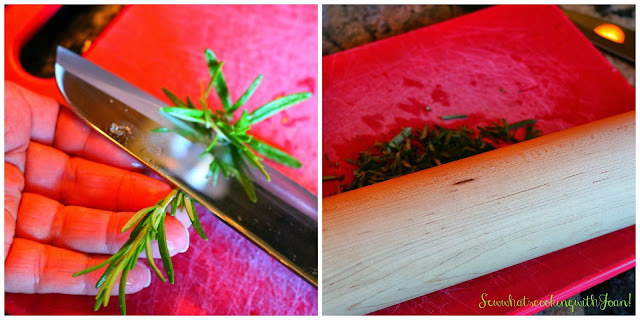 Holding a sprig of thyme or rosemary at its top, slide your fingers or a knife down it, to the bottom, to strip off the leaves or needles. Crush the rosemary needles lightly with a rolling pin to release their volatile oil. In a small bowl, combine the rosemary with ¼ cup of the olive oil, the garlic, cracked peppercorns, and 2 tablespoons of the balsamic vinegar. 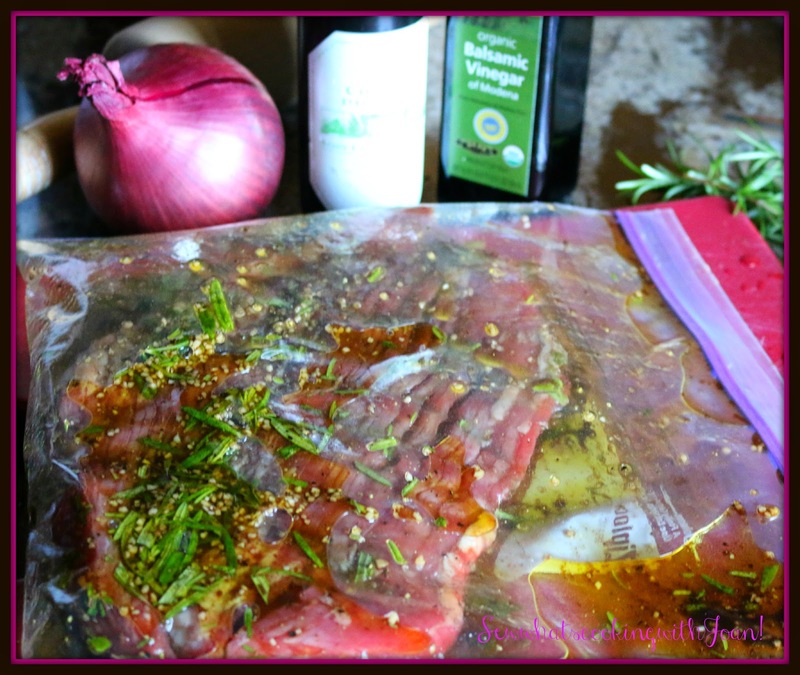 Place the flank steak in a large freezer bag and pour the marinade over. Turn the steak to coat both sides, pressing the spices onto the steak. Marinate for 1-3 hours, the longer it marinates, the more delicious flavors penetrates the meat, also, it becomes more tender. Preheat the grill to medium heat. Clean the grill grates with a stiff brush, then oil liberally to prevent sticking. Remove the steak from the marinade. Brush off any garlic or spices clinging to the steak and season both sides well with salt and pepper. Place the steak on the prepared grill or grill pan and cook 2 to 3 minutes, then, without turning the steak over, rotate it 90 degrees and place back on the grill or grill pan; this will produce beautiful brown cross-hatch grill marks. Cook for an additional 2 to 3 minutes. Brush the top of the steak generously with balsamic vinegar. Turn the steak over and brush the other side generously with balsamic vinegar. Cook 2 to 3 minutes, then rotate the steak 90 degrees; cook to an internal temperature of 125°F for medium rare, about 2 to 3 minutes or to 135°F for medium, approximately 4 to 5 minutes. Transfer to a platter and tent loosely with foil. 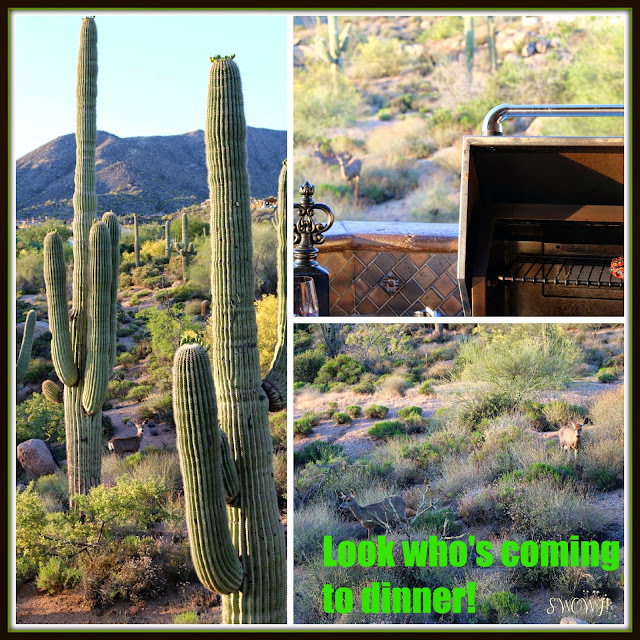 So while I grilling I see a deer coming up from the creek bed below our home. She doesn't seem to be bothered by the barking pups or me grilling. In fact, she momentarily left and came back with her friend for dinner!! Clean and re-oil the grill grates or grill pan. Brush the onion slices on both sides with olive oil; season well with salt and pepper. Grill the onions approximately 2 minutes on each side. Brush the onions with the remaining balsamic vinegar and cook for an additional 1 to 2 minutes. Slice the flank steak on the bias into thin slices, cutting across the grain. 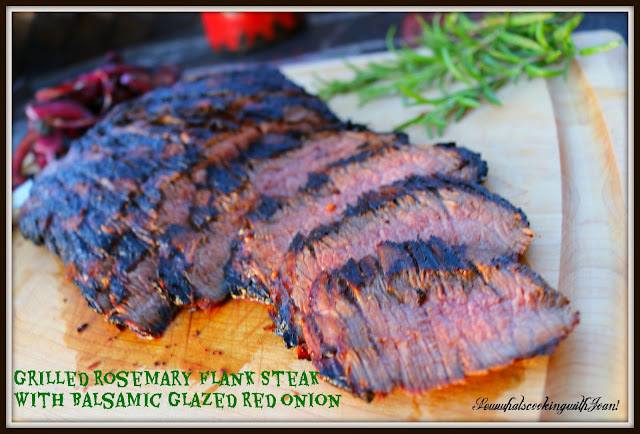 Arrange the slices on a serving platter; pour over any juices that collected on the platter where the steak was held. Place the grilled balsamic onions on the platter with the steak. 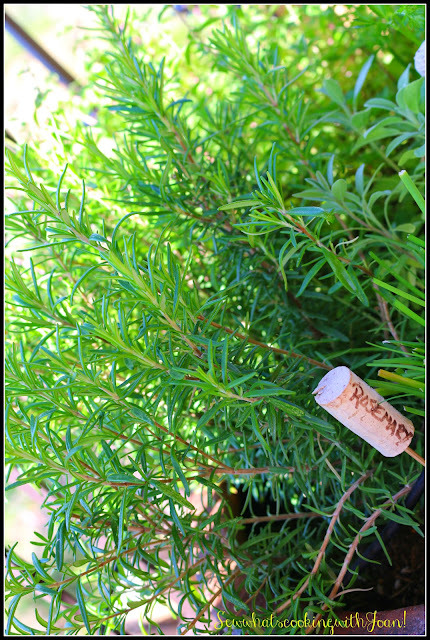 Garnish with fresh rosemary sprigs and serve immediately.